The Best Online Poker blogs from thousands of top Online Poker blogs in our index using search and social metrics. Data will be refreshed once a week. 2.3 PokerListings | Poker News & Features from Around the World! Online Poker newsletter is a comprehensive summary of the day's most important blog posts and news articles from the best Online Poker websites on the web, and delivered to your email inbox each morning. To subscribe, simply provide us with your email address. Gibraltar About Blog PokerStrategy.com is a leading online poker school website with the most comprehensive poker strategy guides, professional software & tools and vibrant poker forum community. Learn poker online, understand hands charts, check our Texas Hold'em lessons and launch your poker career. Facebook fans 55,675. Twitter followers 2,261. Las Vegas, NV About Blog Card Player is the world's oldest and most well respected poker magazine and online poker guide. Since 1988, CardPlayer has provided poker players with poker strategy, poker news, and poker results. Today, CardPlayer.com is the best poker information portal for free poker content, offering online poker site reviews and exclusive online poker bonus deals. Facebook fans 71,215. Twitter followers 21,334. 3. PokerListings | Poker News & Features from Around the World! About Blog PokerListings is the world's most comprehensive online poker guide with in-depth reviews of online poker sites and exclusive bonuses, promotions, tournaments and freerolls for players. Find Breaking news from around the poker world. Live and online poker tournament results, top player news, exclusive poker feature stories and more. Facebook fans 9,702. Twitter followers 19,434. Atlanta, GA About Blog PocketFives is a community dedicated to online poker players. Our goal is to serve the online poker community through our Poker Discussion Board, Online Poker Tournament Rankings, Articles, and other features. Facebook fans 14,649. Twitter followers 11,286. About Blog BankrollMob's ambition is to be the preferred website for free bankrolls and bonusses for online poker and casino websites. BankRollMob.com is owned and run from Malta by a team of 11 fulltime employees with many years of experience from within the online gaming industy. Since 1999 we have given thousands of players from around the globe free bankrolls for the leading gamingsites in the world. Facebook fans 1,046. Twitter followers 4,321. About Blog Online Poker Report is an online poker news site with breaking stories and in-depth analysis related to the legal, regulated online poker and gambling market in the United States. Facebook fans 680. Twitter followers 482. Fountain Valley, CA About Blog Ace Poker Solutions is a company that develops and distributes online poker training software, books, coaching, and instructional courses. Their aim is to develop and provide top tier poker training, and poker training utilities to the continuously evolving online poker community. Facebook fans 1,643. Twitter followers 2,023. Las Vegas, NV About Blog Since 2004, OnlinePoker.net has become the most comprehensive website about online poker and playing poker in general. Our mission is to provide readers with the most accurate information about poker along with details on the best poker sites online. Facebook fans 781. Twitter followers 782. New Delhi, India About Blog PokerShots is a unique platform created specifically for poker players and enthusiasts alike. We provide you the latest poker news from around the globe, connect you to the best tutorials and blogs available online, list out tournaments and lives games from various poker websites and provide you the chance to earn money through our best-in-the-market rakeback deals. Facebook fans 16,768. Twitter followers 53. About Blog Partypoker is one of the pioneers of the online poker industry. The partypoker Blog is your premier source for poker news, promotions, and strategy. Partypoker is the leading poker brand of GVC Holding PLC (LSE: GVC), a global online gaming company. GVC Holdings PLC is a leading e-gaming operator in both b2c and b2b markets. Facebook fans 140,721. Twitter followers 36,084. About Blog Poker School Online is the best place to learn how to play online poker for free. Poker School Online is a vibrant community of poker players. Facebook fans n/a. Twitter followers 64. Malta About Blog VIP-Grinders.com is run by passionate online poker professionals and our website serves as a multi network and multi affiliate tier tracking, reporting and payment backoffice. Read the latest poker news, industry rumors, hottest promos, watch live streams and follow poker blogs from professional online players. Facebook fans 14,033. Twitter followers 210. About Blog Safest poker sites is an honest guide to US online poker sites. Get the latest online poker news and weekly updates from our gambling expert, John Mehaffey. Stay up to date on everything related to online poker. About Blog KhelPlay Poker Blog brings you the information on playing online poker in India. Get the latest information on poker tournaments, poker offers, poker tips and tricks, offline poker events, poker news and much more. Facebook fans 22,534. Twitter followers 389. About Blog Poker News Report brings you the latest poker news from both the live and online poker events, information on latest promotions and more. Facebook fans 161. Twitter followers 107. UK About Blog Topical news page with up to the minute stories from all corners of the poker globe. We aim to cover every story that our readers will want to read. Facebook fans n/a. Twitter followers 204. About Blog At 4Flush.com we provide daily poker and gaming news for our readers. We also review the best gambling sites for real money and provide legislation updates. My personal goal at 4Flush.com is to provide our loyal readers with the very best in gambling news, reviews and important USA gaming legislation updates. Our updated stories, detailed games and strategy guides have kept our readers coming back since 2006. Facebook fans 70. Twitter followers n/a. About Blog BetOnlinePoker to learn where US poker players are calling there new home. Facebook fans 119. Twitter followers 5,049. United Kingdom About Blog 888poker, the world’s 2nd largest online Poker brand. Subscribe to this channel for all the latest 888poker news, live 888poker coverage, upcoming offers, hot news, top tips, tutorials and exclusive promos. Facebook fans 316,958. Twitter followers 79,486. Canada About Blog My name is Parker Talbot, more commonly referred to as tonkaaaap. I stream high stakes poker tournaments on the internet and win/lose thousands of dollars each day. Follow this channel for online & live poker strategy, twitch debauchery, hilarious stream moments, & the odd chair giveaway from time to time. Facebook fans 11,421. Twitter followers n/a. 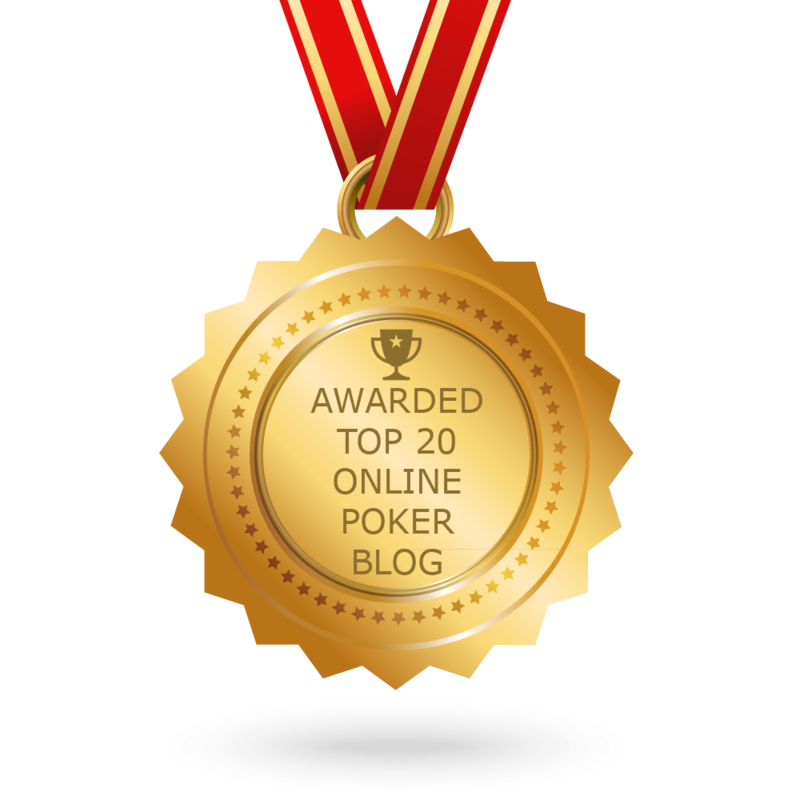 CONGRATULATIONS to every blogger that has made this Top Online Poker Blogs list! This is the most comprehensive list of best Online Poker blogs on the internet and I’m honoured to have you as part of this! I personally give you a high-five and want to thank you for your contribution to this world.